Stephanie offers over 20 years of expertise in Event Planning, Performance Improvement and Relationship Marketing, with a proven track record for designing Customer Engagement programs to meet and exceed corporate objectives. Formerly Vice President of National Accounts for one of the leading incentive marketing companies in the industry, Stephanie’s zeal for creating a “wow factor” in multiple types of programs, is recognized by her clients and peers throughout North America. Stephanie consistently surpasses a “whatever it takes” attitude and is known for her ability to create ‘out- of-the-box’ thinking with Incentive Programs, Group Travel, Loyalty Platforms, Motivation Applications and human behavior Reward Programs. Stephanie’s extraordinary commitment to achieving her clients’ objectives includes an in-depth assessment of market drivers, for both business-to-business and business-to-consumer programs. Her keen ability to recognize program potential, overcome obstacles and to execute effective program strategies within specific client cultures, are the key elements which distinguish Stephanie among all others. 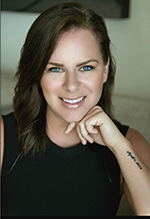 Leigh-Anne is a graduate in Business Marketing from Fanshawe College in London, Ontario and oversees Global Events for Strategic Incentive Solutions, responsible for all client group event operations. Leigh-Anne is a dynamic, accomplished Meetings and Conference Planner, with the exceptional ability to operate client events, from initial preliminary planning, to successful implementation. She has nurtured relationships with many SIS clients and has earned their recognition and respect, by successfully managing their high-profile events with empathy, sincerity and creativity. Leigh-Anne’s commitment and dedication ensures that all aspects of the client’s program are executed far beyond the client’s expectations! Paige is a business marketing graduate from Fanshawe College in London, Ontario. She serves as an Event Planner for Strategic Incentive Solutions, assisting in planning and on-site implementation with global client events and meetings. Paige is recognized for her remarkable attention to detail and her ability to over-deliver on customer expectations, in a “handmade hospitality” fashion. With her upbeat personality, passion and positive attitude, Paige excels at building new relationships, with commitment to customer details and a “can do” manner. with adverse situations, she looks for a new way . . . not a way out! Jennifer Anderson brings over 20 years of sales experience to Strategic Incentive Solutions, recognized for being insightful, her relationship skills, her passion and boundless energy makes her an asset to the SIS family committed to overdelivering loyalty programs and meeting solutions to our clients. Jennifer comes to SIS from Hyperwallet a leader in payment solutions and prior to that from Leapfactor, a mobile software developer, where she worked with direct selling clients to develop applications aimed at boosting sales and fueling growth. Prior to joining Leapfactor, Jennifer managed sales at IMN, a digital marketing firm. Jennifer has a true passion for developing long-term client relationships with a focus on creating solutions that drive client ROI and delivering memorable events. Although Jennifer’s sales experiences has crossed many different vertical markets throughout her career, her passion and drive has been in working within the Direct Selling Industry in North America. She is one of the founding members of the Direct Selling Symposium, an educational event hosted by some of the leading minds in direct selling. Jennifer is also a member of the Direct Selling Women’s Alliance and has frequently volunteered with the Direct Selling Association. A traditionally published author, Debbie comes to Strategic Incentive Solutions with over seven years experience in writing, copy-writing, copy-editing, social media platform development, and business communications. As Director of Communications, she is responsible for ensuring S.I.S. stays current and active in all our communications efforts across multiple platforms. Drawing on her previous background in business development, real estate, and mortgage sales, she has a firm understanding of the importance of clear, effective communication with all team members and our clients. With her excellent person to person and B2B skills, she delivers more than just words on a page; she helps keep us top of mind and engaged in the social media arena, delivering relevant, current content, and interesting newsletters you’ll want to read and share. Jessie is an Honor Graduate from the University of Guelph with a Degree in Psychology and has been working as an Event Director for Strategic Incentive Solutions for the past two years. She is responsible for all Operations of the company and collaborates with both the Sales and Operations teams to manage event services and strategic loyalty programs. Jessie is known for her excellent relationship management and negotiation skills, maximizing profitability for clients and accomplishing corporate objectives. Her extraordinary customer service and proactive creativity bring targeted solutions to clients, ensuring a positive ROI for all client events. Colton is a student at Niagara College in Niagara on the Lake, Ontario, majoring in Sports Management and Event Planning. Colton is currently participating in an Internship program with Strategic Incentive Solutions. Colton assists with general event planning services, social media campaigns, sports marketing promotions and on-site implementation of many global client events. Colton is recognized for his keen analytic ability, his remarkable attention to detail, friendly personality and his sharp, creative thinking . With his eagerness to learn, commitment to business and dedication to clients, Colton excels at customer support, creating efficient processes and over-delivering of client expectations. We specialize in creating and implementing memorable experiences for our clients, utilizing premium awards, vacation travel, sporting events and entertainment events. Our company provides turn-key event services, to assist clients in sourcing the perfect venue, contract negotiation, coordination of air travel, providing onsite staffing and working in tandem with internal teams, to manage the entire event. Strategic Incentive Solutions is committed to Supplier Diversity. SIS is a certified diversity supplier as a woman-owned business enterprise (WBE) that can assist with your diversity spend requirements. As a full service incentive marketing company we are able to assist with rewards, recognition, meetings and events to contribute towards diversity spend. We have clients in both Canada and the U.S. that benefit from our minority certification and we take diversity in your Corporate culture seriously. Contact us today to see how we can assist with your diversity requirements.